I just watched an excellent new DVD by Warren Aston and his son, Chad, entitled "Lehi in Arabia: The Search for Nephi's Bountiful." 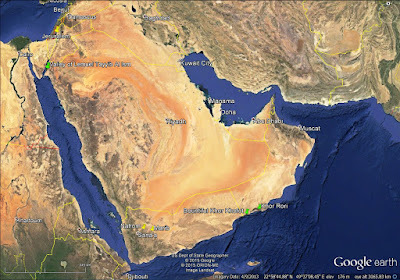 1763 Carsten Niebuhr created a map as part of a royal Danish expedition to Arabia Felix. This map shows the location of NEHHM in modern Yemen. 1976 Lynn & Hope Hilton with photographer Gerald Silver explored Saudi Arabia and Oman. Their two-part article "In Search of Lehi's Trail" appeared in the September & October, 1976 Ensign. 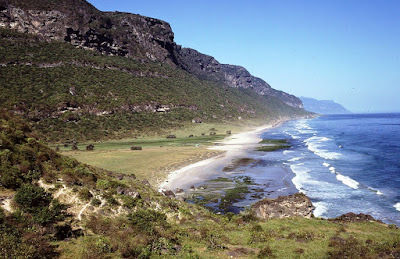 They identified Salalah in the Dhofar region of southern Oman as a possible Bountiful. 1978 In the October Ensign BYU Professor Ross Christensen suggested that Niebuhr's NEHHM was a better fit for Nahom than the Hilton's proposed Al Qunfudhah, Saudi Arabia. 1984 Warren Aston read Christensen's 1978 Yemeni suggestion, contacted Jack Welch to see if anyone had followed up on Christensen's idea, found that no one had, and promptly traveled to Yemen to check it out. Aston was the first LDS explorer/researcher to visit the Nehem Tribal area. He found the name NHM on other old maps and ancient monuments. 1987 Aston traveled to southern Arabia and began searching for Bountiful along the Yemeni and Omani coasts. He found the Bountiful - Salalah correlation unpersuasive. 1988 Aston continued his reconnaissance, this time comparing Bountiful candidates against 12 scriptural criteria. Khor Rori (near Salalah) at first looked promising, but the correlation failed to hold up under scrutiny. 1989 Aston again visited Oman and happened upon Khor Kharfot which seemed to meet most of his criteria. 1993 With support from FARMS, Aston led a research expedition to Khor Kharfot. Noel Reynolds accompanied him on that trip. Expedition members were convinced this could be Bountiful. 2000 On September 12, Warren Aston, Lynn Hilton and Gregory Witt became the first LDS explorers/researchers to see the recently excavated altars at Marib bearing the name NHM. German archaeologists had dated the Marib temple ruins from 900 to 700 BC. 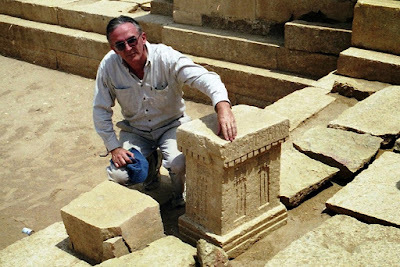 2001 The February issue of the Ensign published an article describing the altars in Yemen as "the first archaeological find that supports a Book of Mormon place name other than Jerusalem or the Red Sea." 2009 Aston led another research expedition to Khor Kharfot. All 12 scriptural criteria were validated. Expedition members were convinced this was Bountiful. 2010 Aston led yet another expedition to Khor Kharfot. There have been other expeditions to Khor Kharfot as well. Ric Hauck, a Mesoamerican archaeologist, did research in the area in 2014 and 2015. This map shows key places Warren Aston has investigated. This photo shows Warren Aston with one of the altars bearing the inscription NHM. And this is a landscape of Khor Kharfot.